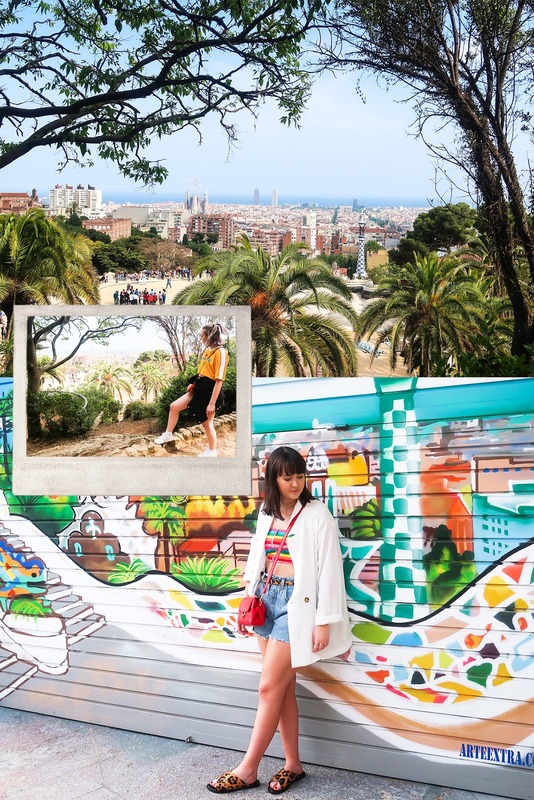 Barcelona Diaries: Pretty pictures, places and Park Guell! 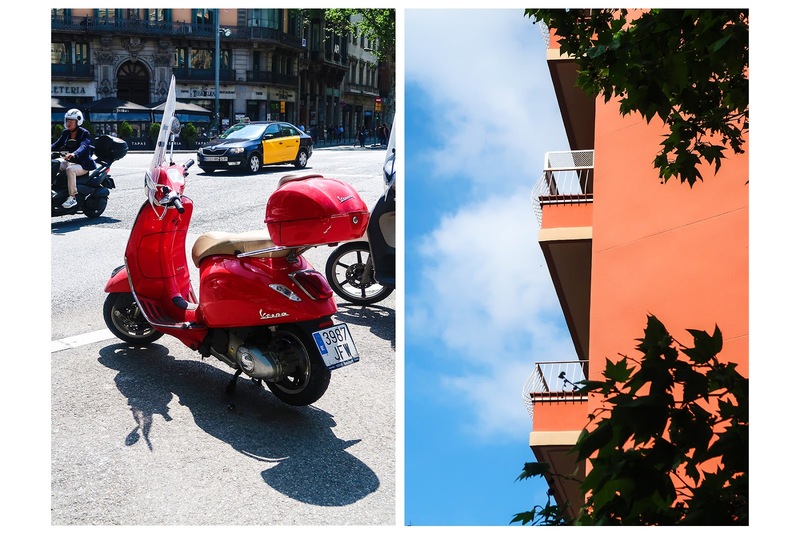 It's been a while since my first Barcelona post but let's just say life got pretty hectic and I had a lot to deal with that needed to be dealt with so fingers crossed life will run smoothly for a while. Our second day in Barcelona had a rather delayed start as after a day of exploring and a night filled with drinks, we were in need of a good sleep. 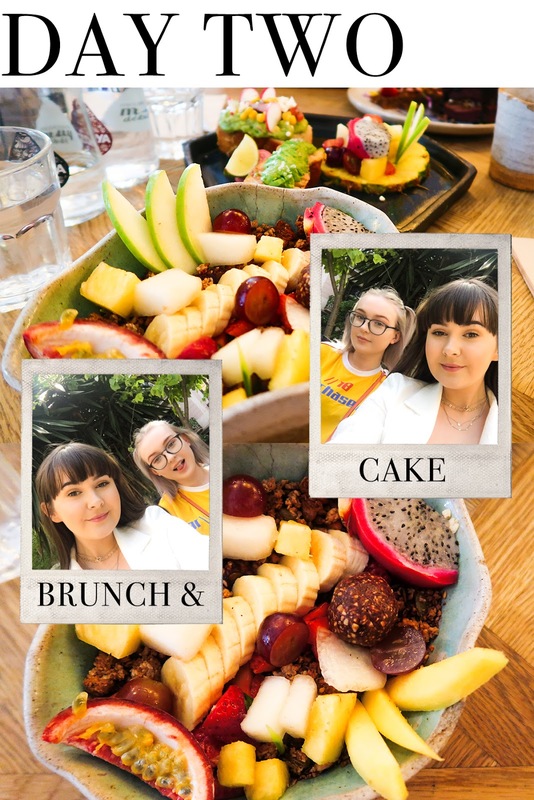 We ventured out at around 1pm and decided to get some food at another oh so instagramable spot called Brunch and Cake and yes, it was as cute as it sounds. Sitting on the corner of a crossroads was this little Cafe with the prettiest decor and seating, along with food that didn't even look real. We ordered the Acia bowl, Avocado toast and Nutella Pancakes and they were amazing. I think my personal favourite was the avo toast as they made something so basic into something that tasted ridiculously good, I was in love! If you're looking for very cute brunch spots in Barcelona I would definitely recommend Brunch and Cake. A lot of it's hype is around the presentation of the food but it did taste delicious as well so it gets a 10/10 from me! After eating we decided to get on one of the bus tours as we were lacking in energy but wanted to make the most of the day. 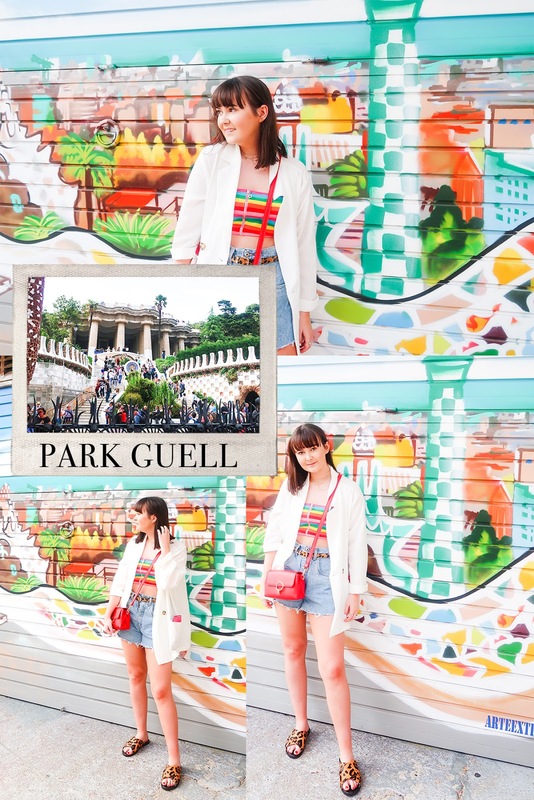 Park Guell was a spot I really wanted to visit so we hopped on one of the buses that did that route. Whilst on the bus we passed many famous landmarks and areas which were all really interesting to see. Now I love sightseeing and exploring places but when it comes to famous landmarks, statues and buildings etc I feel like when you see them once, that's all you need. I hate to admit it but I don't really like history (don't hate me!). Don't get me wrong, when I'm interested in something I could spend hours reading books and watching documentaries about it but when I'm not really that into it, I'm a bit rubbish at learning about it! What I'm trying to say is I'm glad I at least saw these landmarks from a far rather than spending hours queuing to go inside. After about 30 minutes on the bus we arrived at the Park Guell stop which was about a 15 minute up hill walk away from the Park. Now I really didn't chose appropriate footwear this day as my new sandals may have looked pretty, but they cut my feet like mad! It was so weird stumbling upon Park Guell as it's situated within the city streets and just seems such a weird place to have such a beautiful piece of architecture. You walk up a few rows of houses and it's there, it's just bizarre! The shapes, the colours, the designs were all so unique and it is definitely a must to see if you're visiting Barcelona. Unfortunately we didn't actually get inside as it was so busy, but we spent a few hours ambling around the outskirts of the park, taking in the breathtaking views of the city. If you're visiting I highly recommend walking as high up as you can, although it felt like a total workout, the views from the top of the Park were so worth it! We snapped away some pictures and enjoyed the pretty scenery. 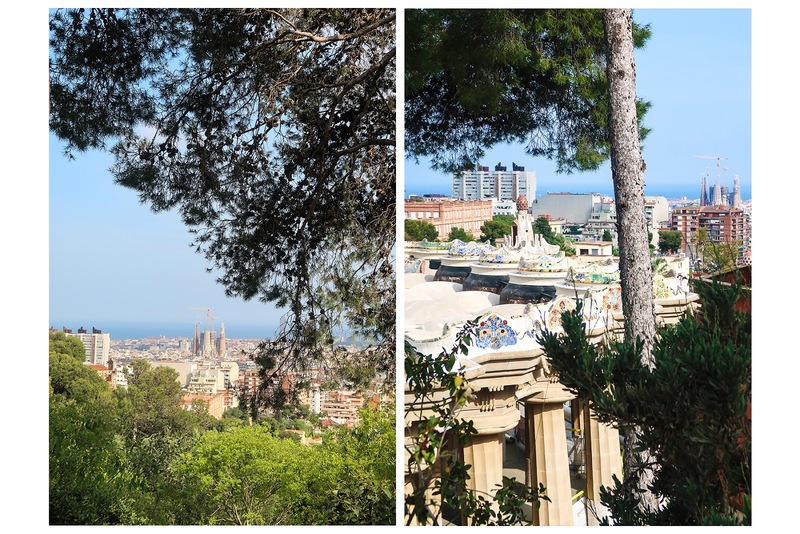 Park Guell is breathtaking, you can really appreciate what a beautiful city Barcelona is!